Blair Street, Hazelwood Avenue, and the Hazelwood Trail will provide the first public access to Hazelwood Green in more than a century. The opening of the streets and trail is a key first step in the development process and will provide access to public transportation to and from the site. Blair Street enters the site from Second Avenue and runs north south connecting to Hazelwood Avenue. The streets serve as a primary artery for connecting planned future streets to the site. The Port Authority has proactively partnered with Almono LLC, the company behind the project, to set the groundwork for public transportation access to the site through Blair Street and Hazelwood Avenue. The streets will be included on the Port Authority’s bus route #57. The Hazelwood Trail is a 1.9 mile connection that runs parallel to Blair Street and the Monongahela River. It will provide cyclists and pedestrians a direct connection to Hazelwood and to the Eliza Furnace, Three Rivers Heritage, and Great Allegheny Passage trails. The trail will feature a cycling track segment, the first of its kind in Pittsburgh, along Blair Street. The continuous, protected, multi-modal segment is built in tandem with the roadway and marks a major expansion of Pittsburgh’s growing trail network. 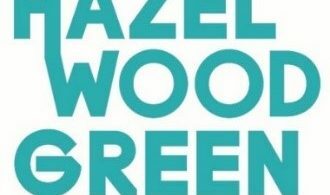 The 178-acre Hazelwood Green development site sits along the Monongahela River and is already LEED-ND certified. It will feature sustainable developments, public spaces, and public transportation access to the area.